Two of the Internet’s most successful and well established online gambling providers, Sweden’s Net Entertainment and the Gibraltar-based PartyGaming, have been accredited by the player protection and standards body eCOGRA following a range of comprehensive software, probity and operating systems inspections by independent auditors. eCOGRA independent directors on the Seals Compliance Committee found the Swedish and Gibraltarian companies to be compliant with eCOGRA’s best practice standards applicable to software and online gambling suppliers. 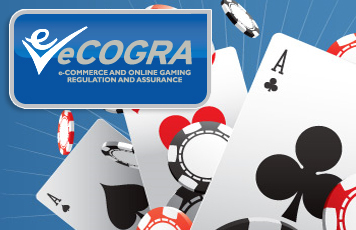 The audits confirmed that the development, implementation and maintenance of the individual Net Entertainment and PartyGaming softwares is representative of industry best practice standards, opening the way for the two companies and any licensees or subsidiaries to apply for the eCOGRA Safe and Fair online casino seal. Since 2003, the seal has become synonymous with tier one levels of fair and responsible gaming, professional conduct and high operating standards when displayed on an online gambling website. The first Net Entertainment licensees have already been successful in achieving individual Safe and Fair accreditations after undergoing extensive inspection and monitoring, and include the major European companies Unibet, Digibet and Casino Room. Other licensees are currently undergoing the accreditation process. Congratulating both Net Entertainment and its licensees and PartyGaming, eCOGRA CEO Andrew Beveridge said that there was increasing demand from software developers for his organisation`s testing and monitoring services. “With a further 20 leading suppliers now also approved or currently undergoing eGAP reviews, this shows eCOGRA has become accepted as the industry`s pre-eminent standards setting authority operating wholly independent of any particular supplier or operator but in the best interests of player assurance,” he said. Net Entertainment CEO Johan Ohman applauded his management team on achieving accreditation: “Meeting high standards in a tough inspection regime like this says much for the commitment and dedication of all involved, and is an important milestone in operational excellence and player protection for the company,” he said. Three of PartyGaming’s major Internet gambling sites passed the stringent eCOGRA accreditation, testing and inspection regime for online casinos and poker rooms. PartyCasino.com, PartyPoker.com and EmpirePoker.com all met the required standards for responsible gambling, player protection, management and fiscal integrity and operational best practice throughout the inspection process. PartyGaming is a member of the European Gaming and Betting Association (EGBA), for whose best practice standards eCOGRA provides assessment services and shares common goals in securing the highest standards of operational and regulatory compliance. Welcoming the announcement, PartyGaming CEO Jim Ryan said: “PartyGaming is committed to responsible gaming and want all of our players to play on our online sites for the right reason – to have fun and play within their means. These new seals show our sites provide our players with a very high level of protection backed by our EGBA membership and eCOGRA accreditation.